At SLP Autos we offer a complete range of garage services and repairs for most makes and models of cars and light commercial vehicles. We supply and fit genuine, or good quality after-market replacement parts, all of which come with a 12,000 mile /12 month warranty. 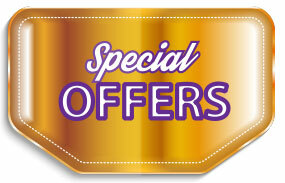 At SLP Autos we use Autodata as a guide to quote prices for vehicle repairs. Autodata provides us with access to technical information on over 16,000 models of cars and light commercial vehicles. This system ensures that we have access to the most accurate, relevant and up-to-date manufacturers’ information on vehicle repairs and diagnostic works, along with the expected time taken to complete them. From this information we can then provide an accurate quote based on the cost of parts and labour. If you vehicle needs extensive repair work, we may be able to offer you a courtesy car, to keep you on the road whilst the repairs are being done. Please speak to our customer service team for further information. Safety first! – If you are experiencing problems with your brakes or your dashboard shows a brake warning sign, it is important, for your own safety to have them checked as soon as possible. At SLP Autos we are happy to offer a free brake check by one of our specialist brake mechanics to assess your braking system. If your vehicle is in need of replacement brake pads, brake discs, drums, shoes or brake fluid we are able to offer a while you wait service for most makes and models of cars and light commercial vehicles to ensure your vehicle is safe to drive as soon as you leave our garage. We are able to supply and fit genuine or high quality after-market, full or part replacement exhaust systems, replacement catalytic converters and exhaust brackets for most makes and models, which subject to availability, can be fitted while you wait. Depending on the condition of your exhaust we may also be able to weld part sections which will prolong the life your vehicle’s exhaust system and keep it within the emissions requirements. If you are experiencing a judder, difficulty in engaging gears without making a noise, loss of power, or a jolt when you do; these are just some of the common symptoms you may experience when your clutch is failing and on its way out. If this is the case, bring your vehicle along to the SLP Autos garage and one of our experienced technicians will happily perform a free check on your clutch to diagnose the issue. Please bear in mind that replacing a clutch typically takes a day to do; so if you are experiencing problems, your vehicle will need to be booked-in for the clutch replacement to be done. If necessary we can supply a courtesy car whilst your car is having the clutch fitted. At SLP Autos we supply and fit genuine or high quality after-market replacement clutches for most makes and models of cars and light vehicles. All clutches fitted by us come with a 12 months or 12,000 miles warranty. If your air conditioning is not performing effectively; providing cool air for the summer or warm dry air for the winter, it is most likely in need of a recharge, or failing that, it needs some repairs to the integrity of the unit’s insulation. Many cars these days are fitted with an air-con system as standard and a typical air conditioning system will leak around 10% each year, which means that they will not perform as effectively as they should. To keep your air condition system in performing efficiently and in good working order, manufacturers recommend that an air-con system is recharged with gas and lubricant every 2 years. If you leave the air-con system un-serviced it will put more of a strain on the engine, which can then drastically affect your fuel efficiency. At SLP Autos we offer a complete air conditioning recharge service with fully trained technicians that are certified to handle R-134A gas and the illuminous green dye used to trace leaks within an air conditioning system. We can recycle the gas and clean the air conditioning system for you. Air con recharges, servicing and repairs should be booked in advance, as the recharge process alone typically takes around an hour to complete. With an experienced team of technicians, our garage services also include engine rebuilds and fitting replacement engine systems in most makes and models of cars and light commercial vehicles. If you are considering an engine rebuild or replacement, please call into the SLP Autos garage to have one of our expert technicians inspect the engine and provide a complete assessment of your vehicle. At SLP we pride ourselves on our expertise and honesty, so it may be the case that we can save you time and money by making repairs and replacing certain parts of your engine instead. Once the assessment is complete our technicians will be able to provide an accurate price based on the extent of the damage, the parts required, labour involved and outline any contingency costs for any further potential issues. SLP Autos’ garage services also include welding repairs for cars and light commercial vehicles. Our skilled technicians can weld bodywork, floor panels, exhaust system components, brackets and MOT failure welding. Our garage in Boreham, Chelmsford offers customers many other garage services to repair and keep their vehicles on the road. 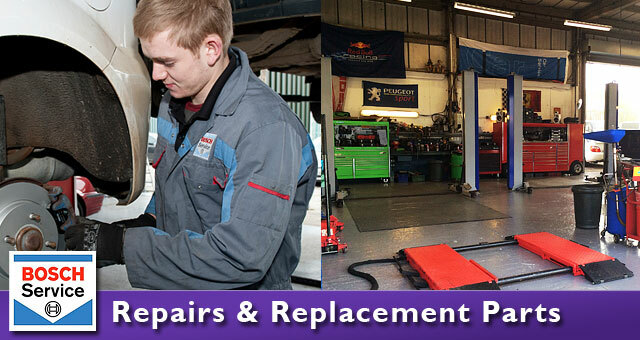 These are just of few of the repairs that we can offer. If there is a repair that has not been listed above, it does not mean to say that we cannot help you. Please feel free to contact us for friendly advice and information on how we can help you. Please contact our Customer Service team for a quotation, or to make arrangements for your vehicle.